A. Monthly assignment / competition. C. Affiliation with other photographic organizations as appropriate and beneficial to the Society. D. Discussion - a meeting place to share mutual interest. Occasional guest speakers. A. Open to any person. B. Established by payment of dues and completion of membership application form. C. All new members shall receive a packet which shall contain information regarding club by-laws, minutes, website, and method of submitting images. A. Annual dues are $30.00 per calendar year per person or a family membership for $50.00 per calendar year. B. Dues for persons joining after June 30 of a given calendar year are $15.00 per person, $25.00 per family. C. Dues for persons joining after October 30 of a calendar year shall be $30.00. This shall apply to the following calendar year’s membership. D. All members of a family must live in the same household to be eligible for a family membership. E. Dues for persons under the age of 18, or persons enrolled full time in high school or college shall be $15.00. F. Dues must be paid by the February meeting in order to be in good standing. A. Elections of officers will be held in November of each year. The term of office shall begin the following January. The term of office shall last one year. B. Elected officers shall include the President, Vice President, Secretary, Treasurer, and three Directors. C. No officer or director shall serve more than two consecutive terms in any office, except the Treasurer, who may be elected for more than two consecutive terms. D. The President shall appoint a Nominating Committee Chairperson by September. E. The Nominating Committee Chair shall assemble a committee. This committee will present a slate of officers to the Board of Directors by the October general meeting. F. This slate will be presented to the general membership at the November meeting. Additional nominations may be made from the floor at this time. G. Officers will be elected by ballot vote at the November general meeting. 1. Presides at all membership meetings. 2. Appoints all committee chairpersons. 3. Serves as ex-officio member of all committees. 4. Serves as liaison to the community. 1. Shall in the absence of the President, assume all duties of the President. 1. Shall record the minutes of all Board and General Membership meetings and shall provide a written record of those minutes to be made available to the membership at the next available Society meeting. 2. Shall keep record of all Society property and the location of that property. 3. Keeps record of names, addresses, phone numbers, and email addresses of members. 4. Give an information packet to new members. 1. Shall have charge of all moneys of The New Braunfels Photographic Society. 2. Shall collect dues and provide proper receipt. 3. Shall provide a written financial report to the Board of Directors at each quarterly meeting, and to the general membership at the first meeting in December. 4. The December financial report will be reviewed by an Audit Committee appointed by the President. This committee will be made up of two club members, who are not members of the board. The final Audit Committee report will be due by the January General Membership meeting. 1. The Board of Directors shall be composed of the President, Vice President, Secretary, Treasurer and three Directors. 2. Officers and members of the Board of Directors may not receive compensation in any form for holding office or for being a member of the board. 3. All Board of Directors meetings will be conducted in accordance with Robert’s Rules Of Order. 4. The Board of Directors shall decide all business matters of the Society. 5. The Board of Directors may call on a vote of the membership to decide on issues facing the board. 6. A separate meeting of the board shall be conducted once each quarter and is open to Society members in good standing. 7. Members may seek to be recognized by the board in order to be heard. At the request of the board, they may engage in discussion on the topic that they brought to the board's attention, but they will have no vote. 8. The Board of Directors may be called to a special meeting by the President or any board member if special circumstances call for immediate decision by the board. 9. Board meetings will be conducted at an announced location. 10. Special communications of the board may be conducted through electronic means including email and conference calls, but final decisions should be made at a meeting of the board where a quorum is present. 11. A quorum will consist of the board members present. In the event of a tie vote, the President shall have an additional vote to break the tie. 1. In the event that an officer must vacate their office, the Board of Directors shall appoint a person to fulfill the remaining tenure of that office until the next regular election. 1. Final authority for the recall of officers or expulsion of members shall be the responsibility of the Board of Directors. 2. A written petition with the signature of at least 50% of the membership in good standing shall be required to petition the Board of Directors for recall of officers or expulsion of members. 3. The written petition shall clearly state the grounds upon which it is based. 4. The petition will be filed with the Board of Directors. 5. Upon receipt of the petition, the Board of Directors shall notify the members being petitioned to give them adequate time to prepare their defense. 6. After a full hearing of the matter, the Board of Directors shall vote for recall or expulsion. 7. Final decision on the matter will require a majority vote by the entire Board of Directors. A tie will be resolved by the President. A. 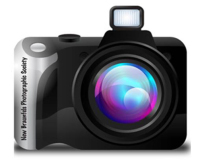 Members are encouraged to submit images taken specifically for the club assignment. Images must be taken within 90 days of the assignment due date. B. The list of assignments will be included in the society calendar of events that will be posted on the website for the whole year. C. An additional color photo and an additional black and white photo may be submitted from the photographer's archives and neither have to be related to the theme. All images will be presented at the monthly meeting where feedback will be given on all images. A. The Secretary shall keep a complete listing of the property and storage location. B. The listing shall indicate a description of the property as well as serial numbers if they are present. C. All Society property may be used by other organizations and individuals at the discretion of the Board of Directors. D. The sale of Society property shall only occur as a result of majority vote of the Board of Directors. E. Property that is for sale shall be advertised to the general public and the highest bid will be taken. F. The proceeds from the sale of property will be deposited in the Society general account. A. The general meetings shall be held once per month at a time and place designated by the Board of Directors. B. Meetings may be canceled, or date changes may be made by the President or a vote of the Board of Directors. C. A quorum shall consist of the board members present. A. Should it become necessary to dissolve the Society, it shall be incumbent upon the current Board of Directors to liquidate all Society’s properties and money. B. No member shall profit or benefit from the dissolution of the Society. C. All moneys gained from the dissolution of the Society shall be donated to a local charity, who shall be selected by the current Board of Directors, only after current Treasurer has reported that all Society debts are paid in full and that the Society’s accounts have been balanced and reconciled. A. Any member in good standing may submit a written proposal for a by-laws amendment to the Board of Directors for consideration. B. The Board of Directors shall review the proposal by-laws amendment at either their next scheduled meeting or a specially called meeting, and vote to accept or reject the amendment by a majority vote. C. If the proposal includes more than one amendment, each amendment will be voted on separately. D. A copy of the by-laws amendments accepted by the Board of Directors must be distributed to all members at the general meeting. E. Members will be given one (1) month to review the amendments, then a final vote will be held at the next scheduled meeting of the general membership. F. Vote will be secret ballot. G. A quorum will consist of the members present. H. An amendment will become part of the by-laws if a majority of the members at the general membership meeting approve the amendment.